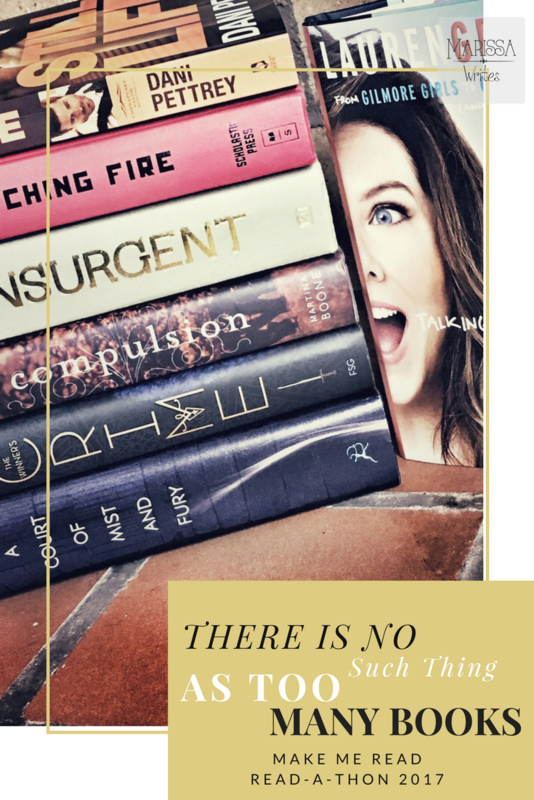 Did you see that list of books that were gathering dust on my bookshelves and TBR list? The books I've collected because I want to read them, and then for different reasons I can't even remember, I never pick them up. It was like the blogging world knew I had such a problem - probably because a ton of us bibliophiles have this issue- and this week long challenge just popped up! Alright, alright, it's been around for a couple of years, but I am just now finding it. Alright... 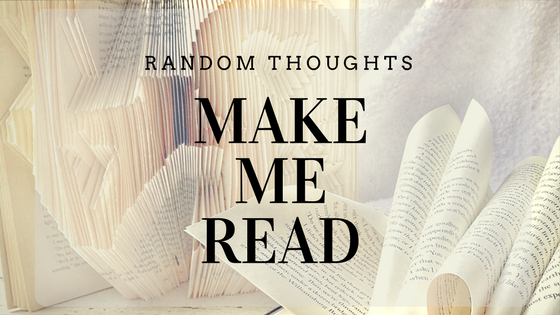 I'm sure you're confused... so the Make Me Read It Read-A-Thon is the brilliant brain child of Ely and Val. 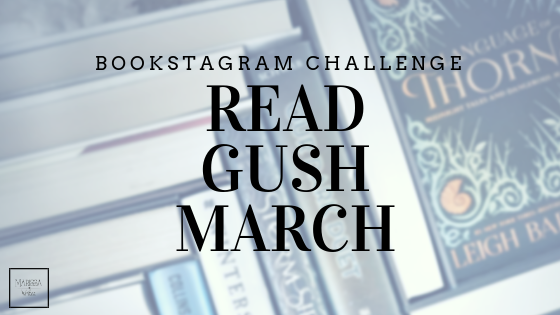 The idea is that participants make a list of the books that have been sitting there on your shelves, or on your to-be-read (TBR) list and you commit to reading as much as you can in one week in an attempted to lessen those dust collecting books. You can pick from your own home library, ebooks, or the library even. The Read-A-Thon is August 6, 2017- August 13, 2017. Now, how do you decide which books to read during this reading sprint? Your reading buddies pick! So below you will find a little poll to vote on my list - and I'll start with the most popular and move through it according to the votes - so please help me out. And if you want to participate, I'd be more than glad to vote on your list! Just let me know where to vote! Which book should I read first for Make Me Read It read-a-thon? I'll make sure to keep you all updated on Instagram and Facebook... and then I'll do a summary here. I hope a few of you will join in! Maybe we can cheer each other on, well when we aren't reading like fiends. If you want more details, check out Ely's post about the specifics here. 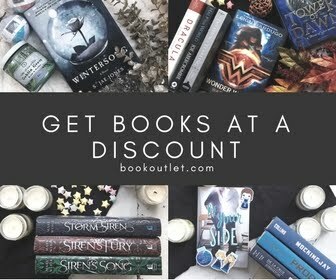 Do you have a ton of books you want to read, but haven't? What are they? I voted for The Savage Song simply because I'm interested in this book myself. Good Luck with the readathon. Aw thank you for voting Chloe! I am interested in that one quite a bit! I'll stop over and vote on yours- this sounds like a fun challenge. Eek! I'm so glad you're joining! I participated in this readathon last year and had gobs of fun so I hope it goes just as well this time haha! XD I voted for Illusion because I've heard about it and it sounds interesting. If you want to vote on my poll it'll be my most recent post on my blog! I definitely have issues with a pile of books to read!! They are countless. I do read but really need to even finish one and make this list!! Right?? It's a challenge to get to those books! Hi Celeste - did you happen to vote on a book? Do you read books often? Voted for "This Savage Song." I eventually want to get around to reading this book myself. I am also participating in this read-a-thon and I am super excited about it. Look forward to seeing what you end up reading for it! I have had this book on my shelf for a while now and just haven't gotten to it... everyone who's read it seems to love it so... thanks for voting! Hello. i chose Siren's Fury because it seems very Summery! A lot of the other choices were great too though. Can't wait to see what you will be reading. It's the second book in a series I've been waiting to finish because I've been told some didn't like it and I'm afraid I won't like it anymore... even though I loved the first one... but we'll see - thanks for voting! Anything from the Mortal Instruments gets my vote. It's my all time favourite series. Good luck with your readathon! This is a great idea. I have several on my shelf that I need to read. yes, I get that completely - which is why I decided to give this one a try!